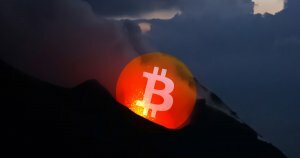 While the global media conglomerate continues to bash the crypto revolution by calling it a “bubble,” there is no denying that high profile entities including government bodies along with influential corporate players are taking note of this widespread digital movement. The latest big-name organization to join this list is Venrock, a venture capital firm that is backed by one of the wealthiest families in recorded human history, the Rockefellers. As per current reports, the three-billion-dollar company is looking to start investing in cryptocurrencies and other blockchain-related businesses to diversify its financial portfolio and gain a foothold in this rapidly growing market sector. 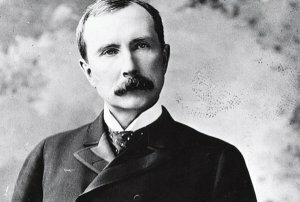 John Davison Rockefeller Sr. was an American oil industry business magnate, industrialist, and philanthropist. He is widely considered the wealthiest American of all time, and the wealthiest persons in modern history. The Rockefeller family has been involved with a wide array of businesses spanning diverse markets such the aviation sector and the oil industry. When looking at a list of businesses that Venrock has been associated with in the past, it becomes clear that the company has immense global financial clout. Venrock was one of the earliest investors in digital startups such as Intel and Apple much before they became the powerhouses that they are today. Similarly, today the company has its money in prominent setups such as Nest and the Dollar Shave Club, both of whom have transformed into billion dollar entities within a short span of time. Venrock helps entrepreneurs build some of the world’s most disruptive, successful companies. Recently, David Pakman, a Venrock partner, spoke with Fortune and discussed his company’s fresh new alliance with Coin Fund, a Brooklyn-based cryptocurrency investor group. CoinFund top-man Jake Brukhman echoed a similar sentiment and mentioned that this partnership could be mutually beneficial for both companies. In recent weeks, people like Bill Barhydt, CEO of Abra, have been openly speaking about western institutional money finally seeping into the crypto domain, and with this latest move, we are witnessing glimpses of just that. Though the digital currency sector seems to be going through a bit of a rough patch at the moment, such news goes to show that big financial players across the world are realizing the futility in resisting this ongoing digital revolution and are finally getting with the program.